Is your back pain being overtreated? Experts advise against primary care physicians routinely sending patients for imaging tests such as MRI or CT scans, immediately referring patients to specialists for injections or surgery, and prescribing narcotic pain revilers. 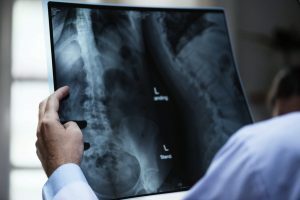 Researchers have found that most routine back pain improves with conservative treatment and that getting more aggressive types of treatment sooner does not change the long-term outcome and may even limit your future treatment options. Who’s at risk for chronic back pain? In addition, some studies have found that people living with depression or anxiety appear to have a greater risk of back pain. Although living with back pain can be extremely frustrating and can even limit your ability to take part in activities at work and home, specialists advise that it’s important to first try conservative treatments. A health advisor can provide you with up-to-date, evidence-based information about the range of back pain treatment options and connect you with the appropriate specialists, including physical therapists. If your primary care physician recommends a more aggressive treatment approach first, you should seek a second opinion. In addition to the recommended, gold standard treatments of non-narcotic pain relievers, the application of ice or heat, and physical therapy, your doctor may also suggest topical pain relievers or therapeutic massage as first steps in the treatment process. And while the pain may make you want to stop moving, doctors recommend remaining as active as possible. More than a day or two of bed rest can lead to deconditioning of the muscles that support the spine.